PHOENIX, Ariz. — Two-time PGA TOUR winner and former golf course architect Bill Johnston will be honored by the Arizona Biltmore Golf Club on Thursday, November 10th at 3 PM with the ceremony taking place on the Arizona Biltmore Golf Club patio. Johnston, now 91 years old, designed the famed Links Course at the Arizona Biltmore Golf Club. Johnston devoted his entire career to the game of golf – first as a professional golfer and later as a renowned golf course architect. Johnston was born in 1925 and played professional golf for 40-plus years, from 1950 through the 1990s. As a professional golfer, Johnston had 15 career wins, including: the 1954 Utah Open, the 1958 Sahara Pro-Am, the 1961, 1967 and 1972 Arizona Opens, the 1972 Colorado PGA Championship and the 1973 Colorado Open. As a member of the PGA TOUR, Johnston won the 1958 Texas Open Invitational and the 1960 Utah Open Invitational. When his career as a professional golfer finished, Johnston became a golf course architect. He designed several well known golf courses in Arizona and Texas, including: Dominion Country Club in San Antonio, Texas; Tapatio Springs Resort in Boerne, Texas; Lookout Mountain in Phoenix, Ariz.; Rancho Manana in Cave Creek, Ariz., and the Links Course at the Arizona Biltmore Golf Club. Johnston was inducted into the Utah Golf Hall of Fame in 1994 as he grew up in Ogden and attended the University of Utah. The Arizona Biltmore Golf Club and its two golf courses, Links and Adobe, are located in the shadow of the Phoenix Mountain Preserve. 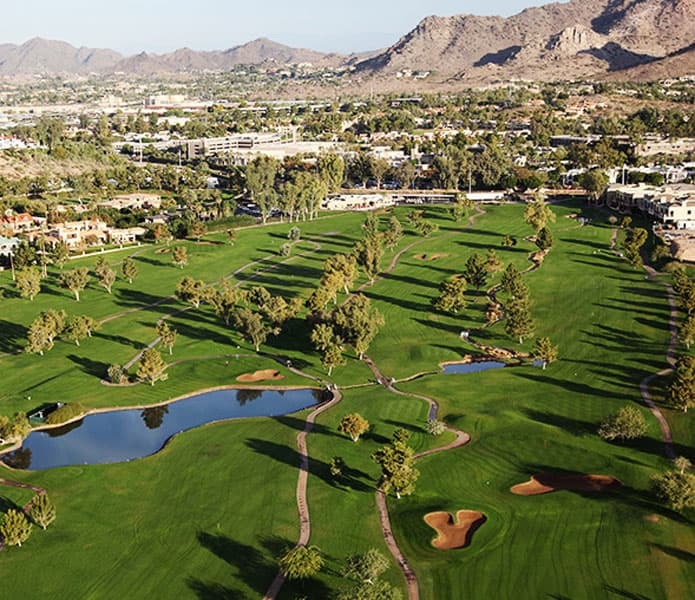 The Adobe golf course is considered stately and grand, a forefather of modern design, and is one of the most established golf courses in Phoenix. The lush, 50 year-old fairways and spacious layout are a reminder of the game the way it was meant to be. The Links Course, the younger of the two Biltmore courses, has earned the respect of golfers everywhere as one of Arizona’s premier golf courses. Rolling fairways lined with pines meander through some of the most stunning homes in Phoenix.